and you’ll automatically be entered into the free prize draw. The winner will be randomly selected on Monday 29th May, so make sure to get your vote in before Friday 26th May! Rate Your Landlord gives you the opportunity to have your say by reviewing your (past or present) renting experience. At Unipol we want students to enjoy their time at university without any added stresses and to leave with fond memories, rather than with a sour taste in their mouths. We know that real consumerfeedback is a huge contributing factor when deciding on something new, where often, we might not know where to start. The Rate Your Landlord Awards for the year 2016 – 2017 were held on 8th May at University House, University of Leeds, which rewarded those exceptional landlords for their ongoing commitment. 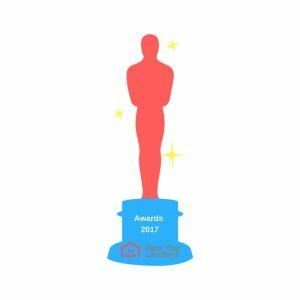 Winners are listed in our awards blog, so click here to see if your landlord received an award. So, during your coffee break from your studies in the coming weeks (between 2nd and 26th May), take a few minutes to Rate Your Landlord and be in with the chance of winning a £50 voucher to be spent on anything Amazon offers. It’s sure to make the last push before Summer that bit easier! *We keep a record of your name, email address and other details in case we need to get in touch. Published reviews will not display this information. Click here for more details and terms and conditions.